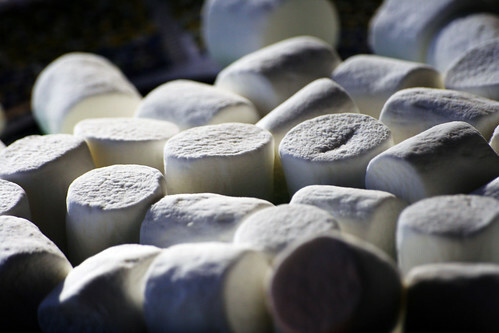 Scott Le Duc » Blog Archive » Your Future Success Revealed with Marshmallows? Your Future Success Revealed with Marshmallows? Be sure to read some of the comments on the RadioLab.org podcast page. Two in particular raise interesting concerns; Eric Mauro from Boston MA and Kimi from Hartford, CT. What limitations are inherent in this study? What do we need to consider when interpreting data from studies like Mischel’s? Do the concerns raised mean we throw out the results of the study? How do you feel about the commenters observations and the data shared? Listen to the podcast Back to School from the This American Life radio program. You will hear Theo, pictured below, struggle with delaying gratification to receive two treats, instead of one. The hour long program details data and strategies to help young people overcome stress and stay focused on goals, compensate for deficiencies in resources and be successful in all areas of life. It’s profound and worth your time!